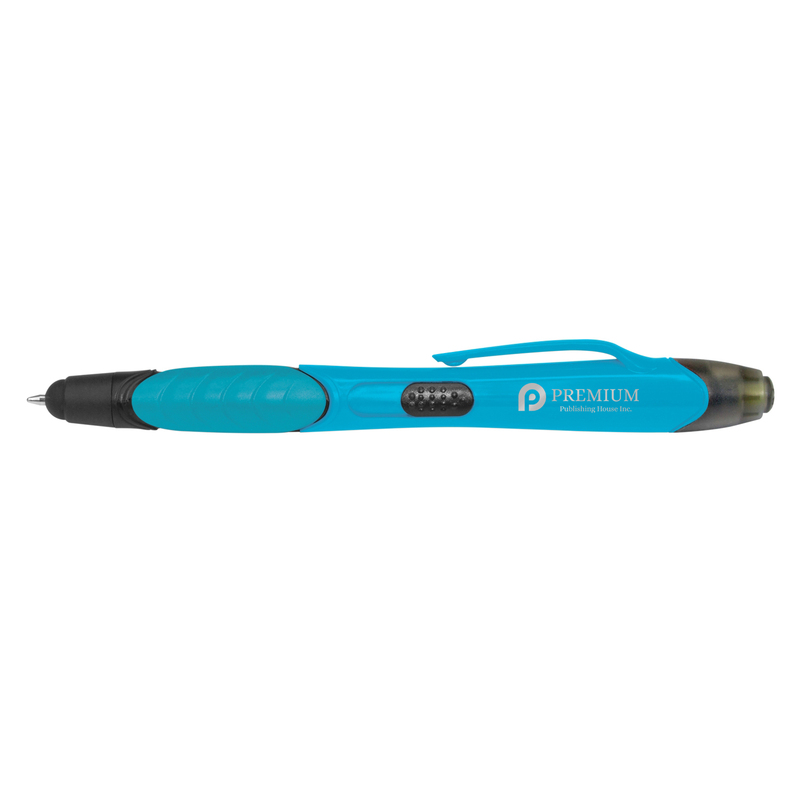 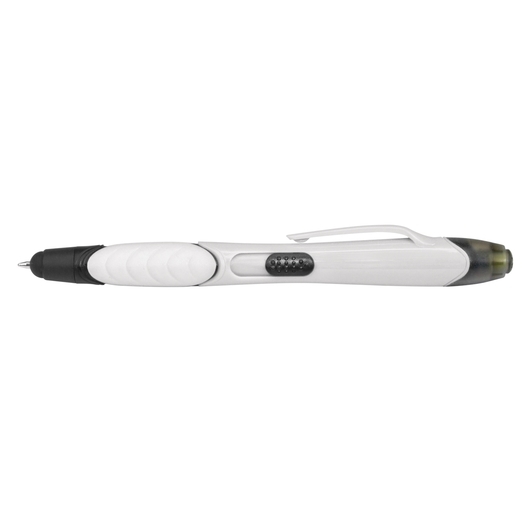 A practical multi-function pen that's great for giveaways and marketing. 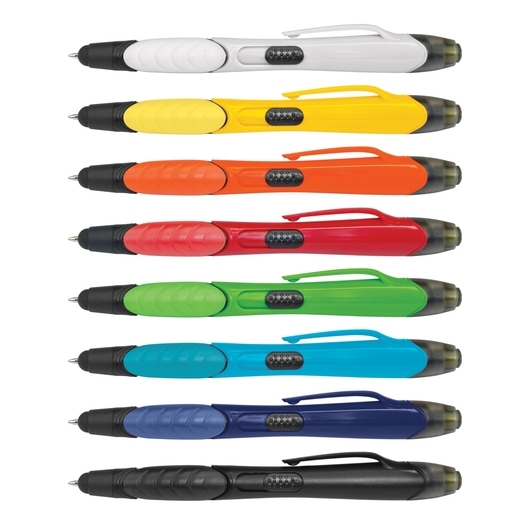 A retractable plastic ball pen with a comfortable soft rubber grip available in many bright colours. Features include a stylus for touch screen devices as well as a yellow highlighter and ink pen. Utilises a tungsten carbide ball nib for better writing performance and houses 400m of black ink. 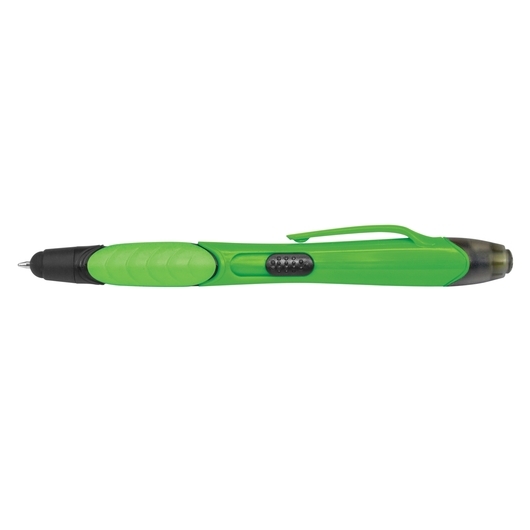 More than just your standard pen!